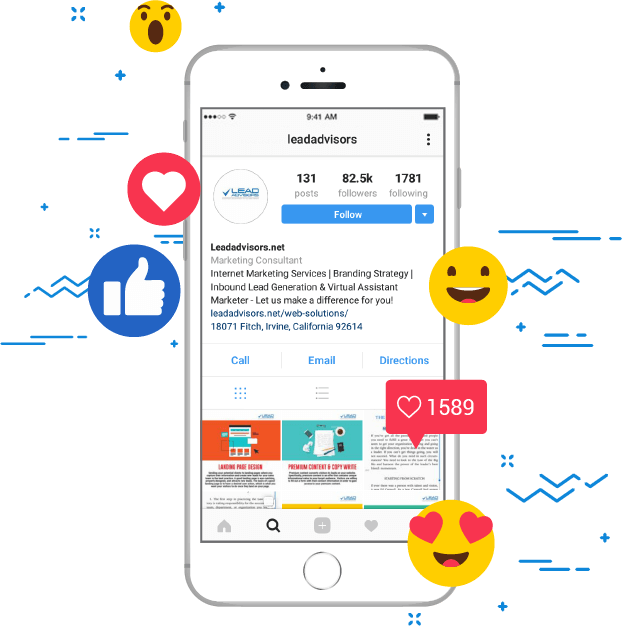 Maximize your Instagram marketing by targeting the top commentors and likers from other posts, then let Lead Advisors Team convert new followers to real customers. We attract followers for you by location, account type, gender, business profile, hashtags and more. Exposure = Growth. If you want thousands of followers you have to engage thousands of accounts. That's our job. You'll receive weekly and monthly progress reports along with a monthly list of your top 300 engaged followers. Following targeted accounts, locations and hashtags allows users to see our accounts following them. Our team is actively engaging with followers 24 hours/day nonstop. Instagram ads appear in a bold, linear format at the center of visual inspiration. Photo Ads, Video Ads, Carousel Ads and Stories Ads will bring awareness, website clicks, brand awareness to your business. The best way to get eyeballs on your products and services. How does it help your brand? Gain thousands of followers by targeting other successful accounts that you want followers from. Land sponsorships and make yourself more marketable by gaining more engagers. Sell more on your e-commerce site by getting more followers to see your profile and products. Overview and preparing all keywords, hashtags related to you and your competitors and what other companies are doing in your industry ideal. Custom branded design based on your existing brand Included. If goal is to build brand awareness, we focus on customers challenges. Analyze data & make data-driven decisions. We’re here and we regularly check on your campaigns, and areas of optimization and proper improvements. * Need help with all of your social media advertising? Save money and bundle them together! Starting from $299/month click here. We have been in the marketing & advertising business for 8 years. We understand Design, Development, Marketing and A/B testing through data-driven analysis and consumer audience targets to ensure you’re getting the best results that suits your budget and most importantly represents your brand. We offer no contracts but we’re backed by our work. We always tell our clients, our advertising strategy is not a short-term plan, it must be at least for 3-6 months but we stand by our integrity and great results. Why should LeadAdvisors manage your Facebook Advertising? unlike our competitors who use Web BOTS to create fake action with other users on instagram, ours is all organic. 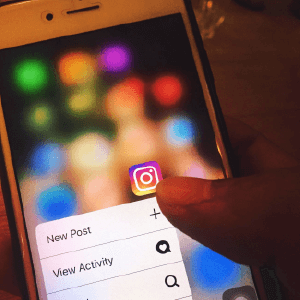 we use our marketing techniques your instagram account will get the exposure it needs to generate organic, active followers. Absolutely, you just have to create multiple ads and keep your engaging with other users/friends or customers. we utilize video ads to ensure all conversions are covered especially when you're using our Social Bundle packages, we can target customers who have been on your Facebook on instagram or vice versa. talk to an expert today? Once your campaign has been set up, we immediately begin working on your account. Given the organic nature of our service and your growth, you can expect to start seeing results in about 12-24 hours. after our discovery call, we will strategize a game plan based on our target variations, and we will set a goal for a targeted visitors to your site & number of qualified visitors that can be converted to leads or sales. The number of visitors always depends to your advertising budget, just like a conventional direct mail marketing, the more direct mail you send out, the more calls you receive so the more budget for pay-per-click, the more traffic we will drive for you but we’re all about keeping you within your budget so we incorporate other ad campaigns for retargeting methods by using an advertising funnel to ensure. our advertising campaigns are designed to help you generate new sales but also maintain existing clients which usually send over referrals! Will I lose my followers if I stop using you? of course not. The followers you gain as a result of using our social media team are real and follow you because they are genuinely interested in your content. They will not disappear when you stop using our services. What is the difference between your Growth & Platinum packages? 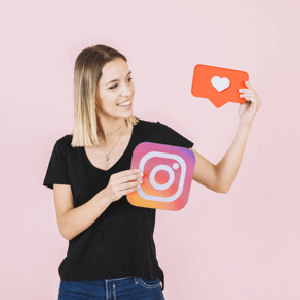 Both packages deliver real, powerful growth to your Instagram account. With the Platinum package we double your exposure, which means you’ll be getting 2-3x more traffic, engagement, and growth than you would with the Growth package. The Platinum package also offers four unique Ad Designs per month & priority support ensuring any questions or account changes are addressed promptly –Great useful feature for brands or influencers. we do not offer Bots, or Softwares or anything illegal at all. we're an advertising agency and we have a team of designers, marketers and consultants who are eager to help you and your business. Your own dedicated co-admin social media manager who will be trained and most likely have experience with your industry. they will go over your hashtag, location, audience variations that could possibly increase your engagement by 2x or 3x if not more. How would your team know the ads will fit my business? Before we start, we will complete a discovery call with you covering all your advertising goals, message, and your brand. We will make sure you confirm & approve materials before the ads are live. In addition, we will complete an keyword analysis, industry research, and competitor research to strategize the best campaign for you. you will need to contact your social manager and they will be able to upgrade your account based on your brand/business needs. No, There are no contracts required for our services. We don’t offer long-term contracts and instead we trust our work by delivering results. We will build your own accounts and our services require ongoing maintenance, optimization, adding and since we do not use BOTS to engage with other users, it requires us a lot of management and organization to ensure your account is consistently growing.